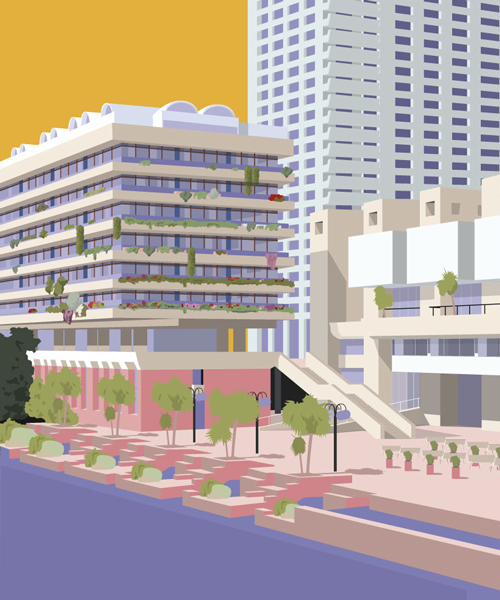 having previously worked with brands such as redbull, la caixa, repsol and mutek, barcelona-based graphic designer pablo benito, otherwise known as PeBe, presents a series of london-influenced architectural illustrations. 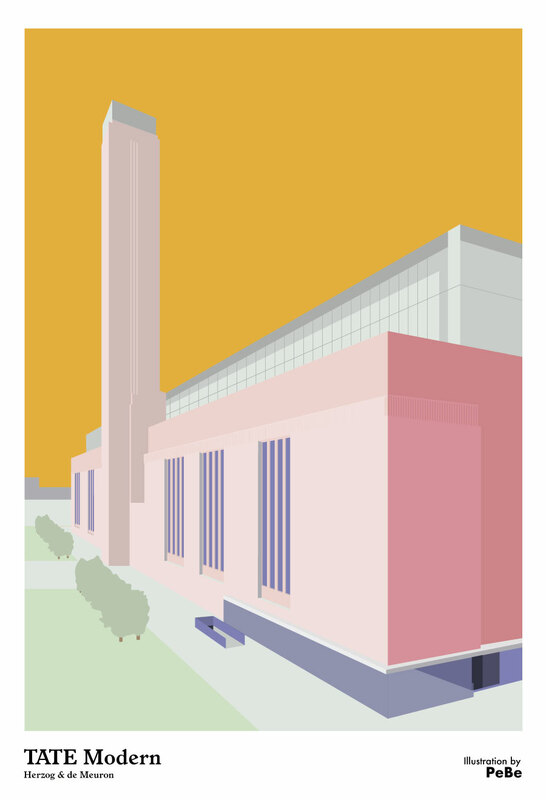 in this series, benito focuses on london’s landmark museums and architecture such as the OXO tower, the TATE modern, the national gallery, the national theatre and the barbica center. 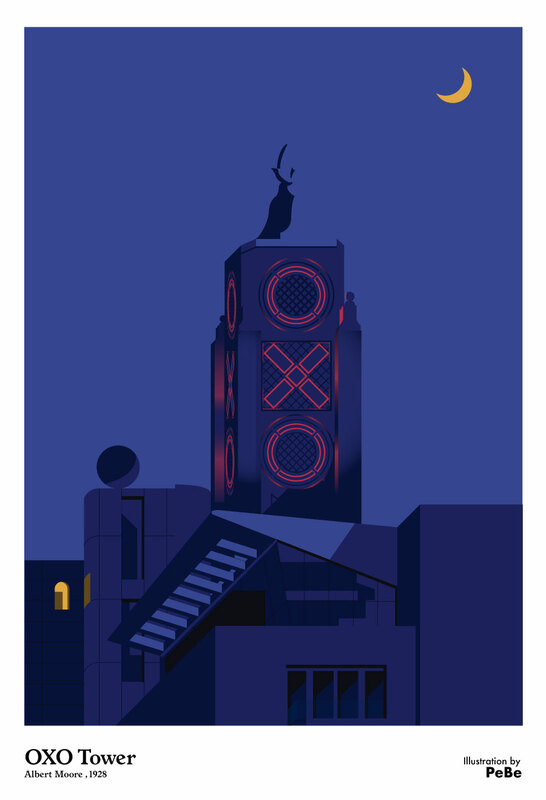 PeBe‘s tribute to the city of london and its architecture is depicted through a series of colorful and minimalist illustrations. the OXO tower, designed by albert moore in 1928, was largely rebuilt to an art deco design and has won the RIBA award for architecture in 1997. herzog and de meuron’s TATE modern museum is britain’s national gallery of international modern art and is one of the largest museums of contemporary art in the world. william wilkins’ national gallery in london is among the most visited art museums in the world, after the louvre, the british museum, and the metropolitan museum of art. 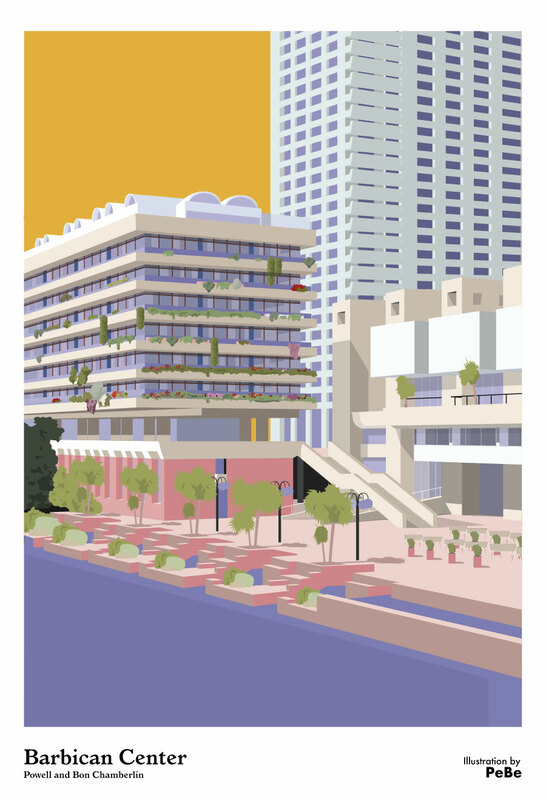 and most famously, the barbican center is a performing arts centre and is the largest of its kind in europe. the Centre hosts classical and contemporary music concerts, theatre performances, film screenings and art exhibitions and also houses a library, three restaurants, and a conservatory. 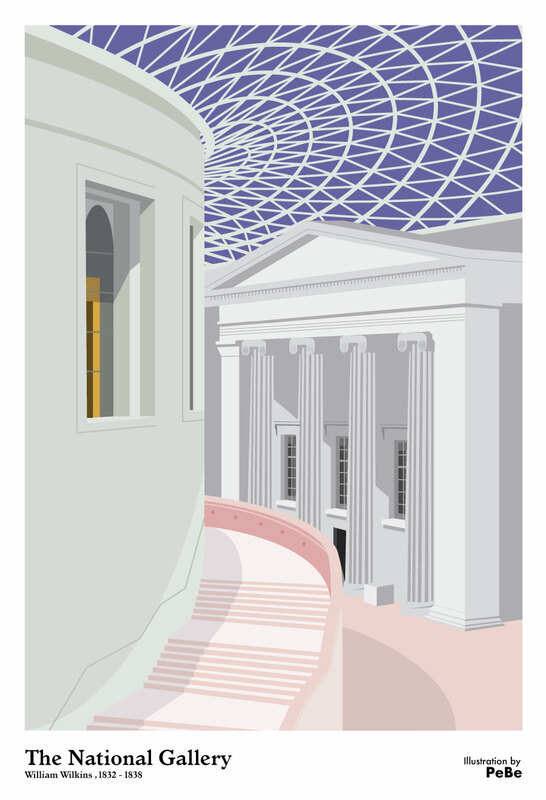 You have to tell PeBe that the drawing of ‘The National Gallery’ is actually the ‘British Museum’ and it was designed by Sir Robert Smirke, and the Great Court roof is by Sir Norman Foster. 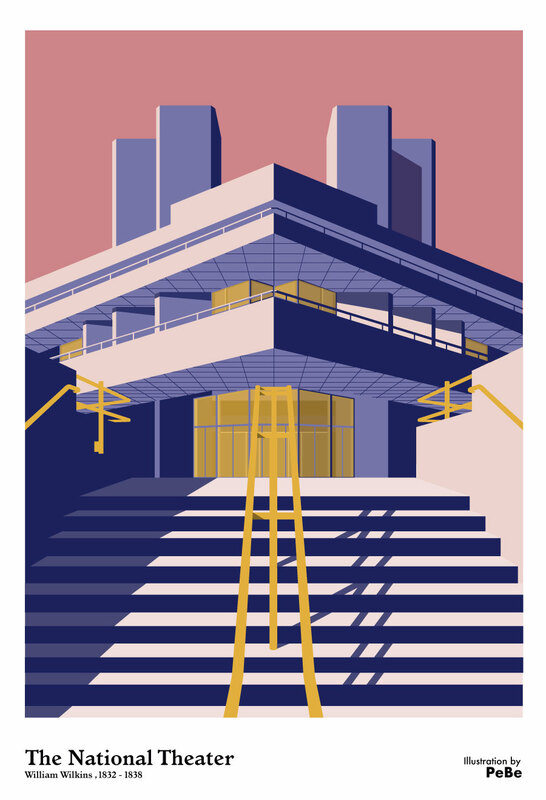 Also the architect for the National Theatre is Denys Lasdun.